Big Picture’s Technology Training also extends directly to consumers. Alongside workshops we run in our retail partners’ stores, Big Picture also provides classes in more unusual locations. iStudy and Digital Living are two projects where Big Picture have delivered an amazing customer experience onboard cruise ships. Digital Living provided passengers on P&O Cruises with interactive classes from ‘Computers for the Terrified’ all the way to advanced photo editing. These classes were also supported by a retail offering, allowing passengers to purchase the technology and software they were using to take away immediately. iStudy is an innovative learning environment onboard the Cunard fleet. 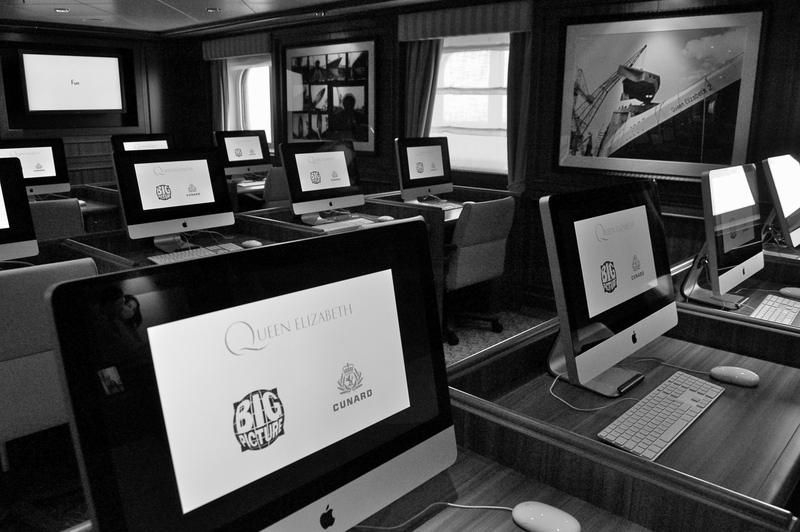 Big Picture created an entire technology suite across all three ships in the fleet, which included a fully fitted classroom and an Apple Approved Reseller retail area. Guests on a Cunard ship are able to experience technology in the comfort of a luxury ocean liner, learning about PC and Mac systems, mobile devices, smart home, photo and video editing as well as many other creative programmes designed to enrich the cruising experience. The Big Picture Team design and deliver course content, training presenters to support guests to learn and experiment with the latest technology.